Path Forward is excited to announce that Walmart Inc. has joined our fall 2018 program. 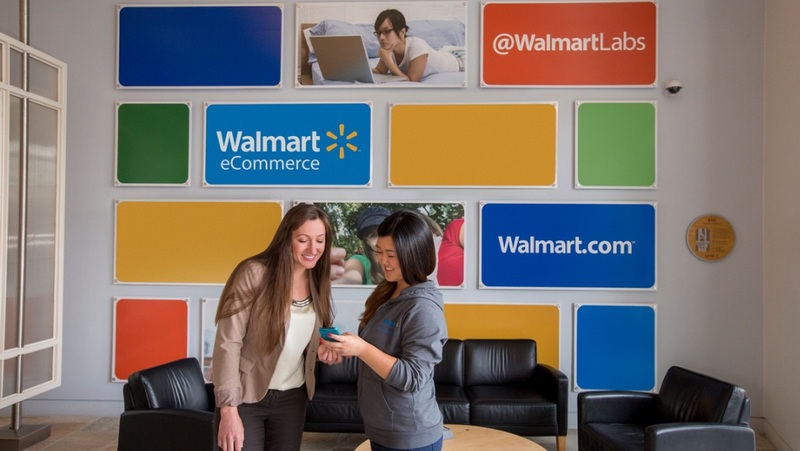 Through our partnership, Walmart’s technology division – Walmart Labs – will be creating opportunities in its San Bruno and Sunnyvale, California offices for people to restart their careers after caregiving. The initial cohort will include a variety of roles in software engineering and product management. We will be kicking off the fall program with two Path Forward Career Restart Seminars on July 10 in Palo Alto and July 11th in San Francisco. “We are looking forward to launching a return to work program at Walmart in partnership with Path Forward. Walmart is committed to creating a workforce that is as diverse as our customers. Helping people restart their careers after caregiving is great for them and their families, great for the economy, and a great opportunity for Walmart to tap highly skilled, educated, and motivated associates,” said Bobbie Grafeld, VP of People, Walmart Labs. The Path Forward program is open to women and men who have at least five years of professional experience and are looking to return to work after taking a career pause of at least two years or more for caregiving. If you know someone who is looking to return to work, please share this information with them. “We are on a mission to empower people to restart their careers after a pause for caregiving. By working with large corporate employers like Walmart we can create more opportunities and also shine a light on the many benefits and experiences former caregivers bring with them to the workforce. We applaud Walmart for their commitment to developing and empowering a new and diverse source of talent,” said Tami Forman, Path Forward’s executive director. The Path Forward program originally began as a program at Return Path, which has a large office in Broomfield, Colorado. Return Path expanded its program in 2015 by creating a community consortium that included seven other local companies. In 2016, Return Path’s CEO, Matt Blumberg, launched Path Forward as a nonprofit to bring return to work programs to more employers and empower even more people to relaunch their careers. The program soon expanded into California with PayPal and Verizon Digital Media Services, among other companies. We now work with more than 35 companies in San Francisco, Los Angeles, and New York, in addition to Denver. If you are interested in our San Francisco Bay Area program we highly encourage you to sign up for one of our Career Restart Seminars on July 10 in Palo Alto or July 11th in San Francisco. In the coming weeks, we’ll be announcing more partnerships. Stay tuned to our site and newsletter for updates on all of our programs in all markets. If you want more information about bringing a Path Forward program to your company, fill out this form or email us at hello@pathforward.org. Hi Sheue. While many of our partners are tech companies, they often have a need to fill non-tech roles. Our partners are currently hiring for a variety of non-tech in San Francisco, including Client Services, Finance, and Marketing. Be sure to check them out.